If you have seen the film Waitress starring Keri Russell, then you have heard of mermaid pie. I love this film and have been making Mermaid Pie and Fall in Love Pie since watching it. As I have shared pictures and tweets regarding my Mermaid Pie making sessions, I always get asked what pie is it? Is it a fish pie no, but it’s obvious why you would think it was. 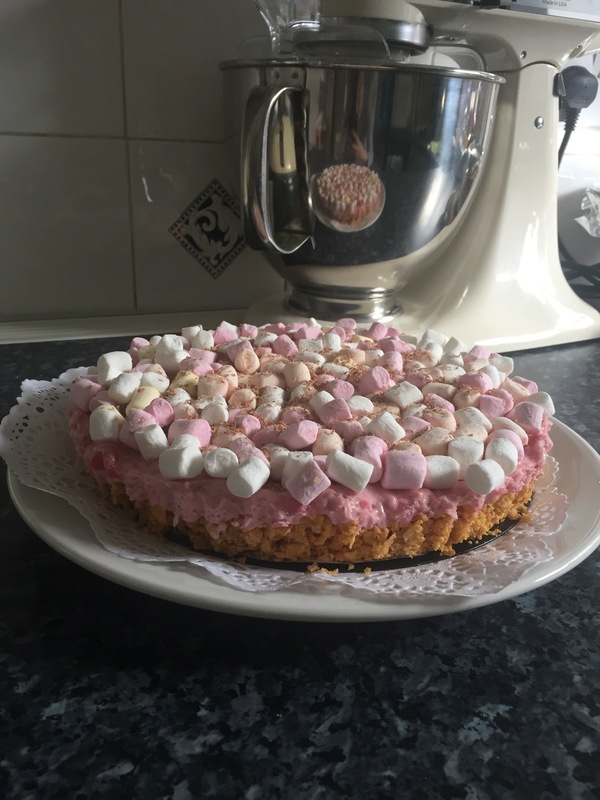 It’s a sweet dessert pie! When I say sweet, I mean it’s for the ultimate sweet tooth! I live with one so it goes down well. Because I am asked regularly how to make this, I thought I would share this with you. It’s very easy to make and fun if you have children who love to bake. Blitz the Golden Grahams or Cornflakes in a food processor until crumb-like. Melt the butter and add to the crumbs, press into a pie dish and bake for 10 minutes. Allow to cool. 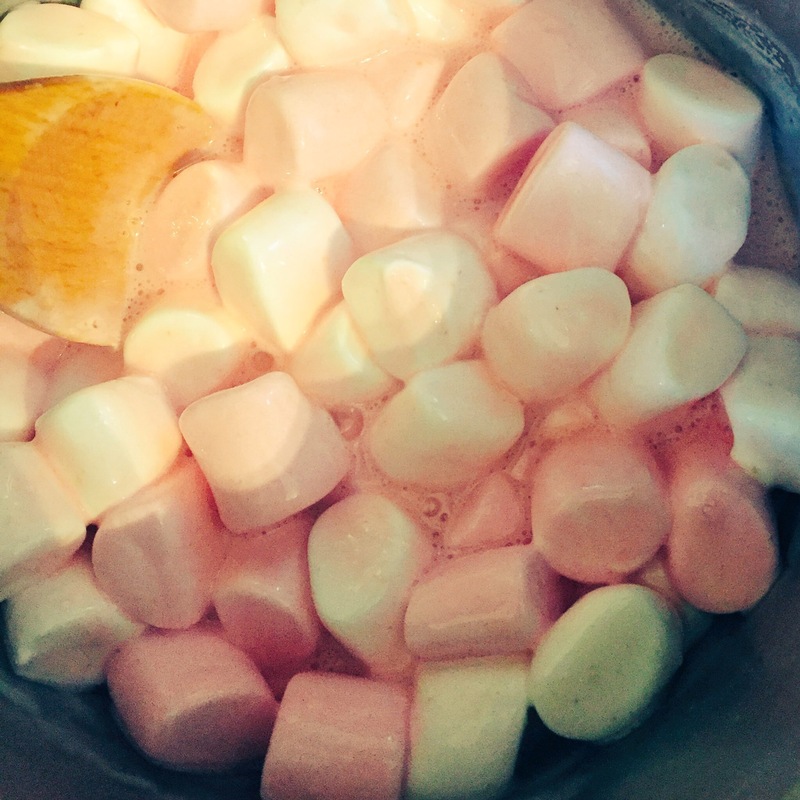 Heat the Marshmallows and milk over a low heat until smooth, stirring constantly. Remove from the pan and cool completely for approx 30 minutes. In a large bowl beat the cream on medium speed until stiff peaks form. Fold the marshmallows mixture into the whipped cream with the chocolate. Spoon the filling into the pie crust. Decorate with the mini marshmallows and serve.